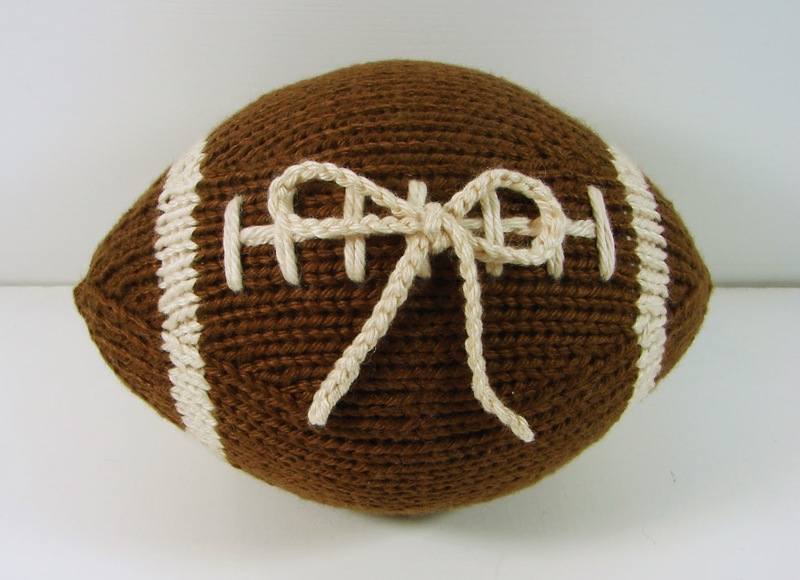 My knit footballs have been one of my most popular items. They always sell quickly whenever I have them in my shop. (I actually need to finish a few to put on there now, since the last one sold out a couple of months ago.) 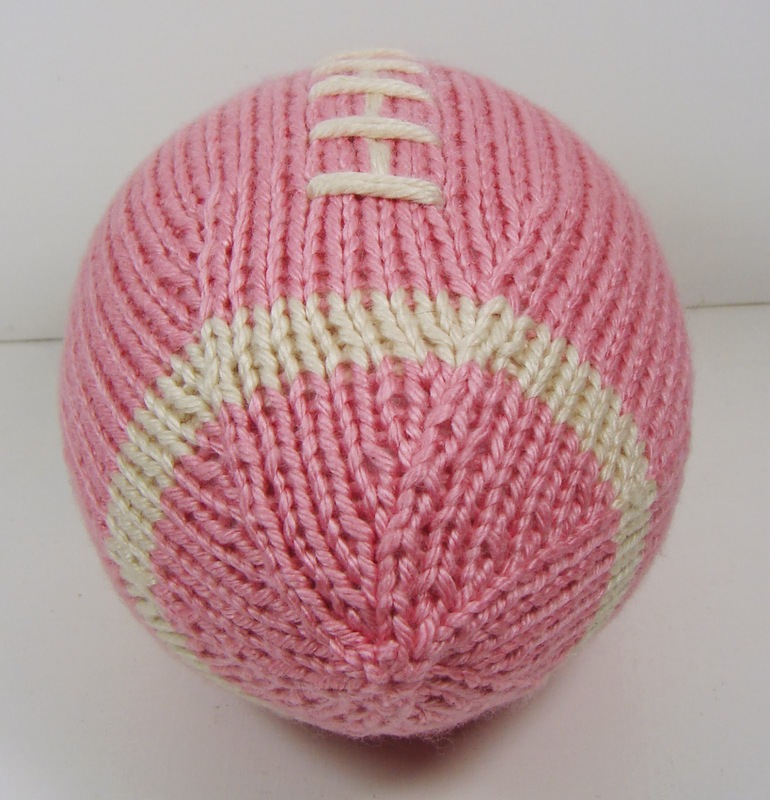 The pattern for the footballs has also been one of my best sellers. 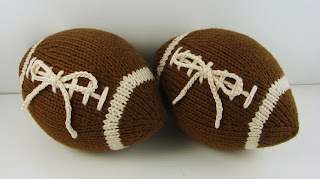 I recently had a couple of custom orders for some knit footballs. 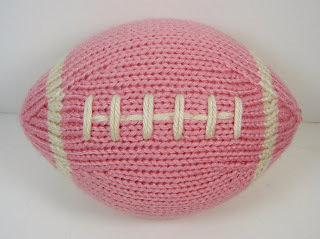 The first was for a set of footballs to use as ring bearer pillows. I made the footballs the same way I normally do, but simply added a crochet chain string to use as a tie for the rings. The next football related custom order that I had was for a pink and white football. I like this kind of custom order. 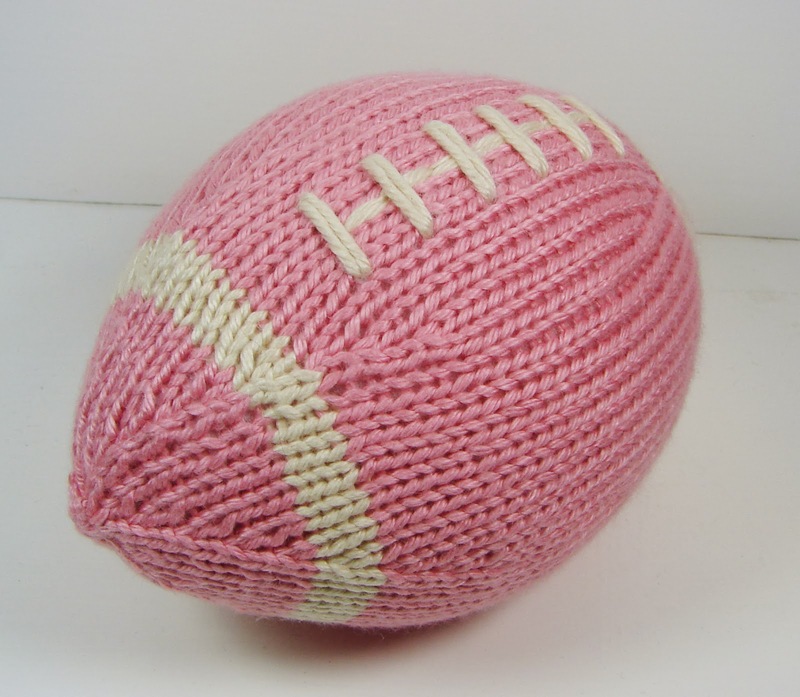 It is really simple to make something in a different color as long as I have the yarn (and I keep quite a large stash so that I have yarn available for custom orders) and the customer gets exactly what they want. I have thought about also making these footballs in team specific colors, but I haven't had any requests for that yet. It would be really easy to do, but I'm not sure which teams customers would be interested in. Perhaps it will be a custom order someday. 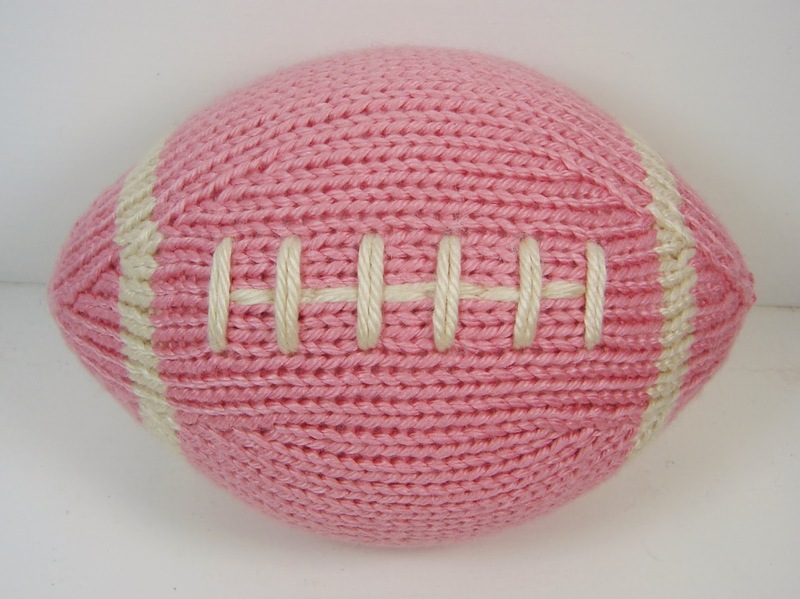 May I buy the pattern frim you?